This review is long over due. My wife and I purchased our first copy of Charterstone by Stonemaier Games well over a year ago. I had read several positive reviews of the game and thought it would be fun to pick up a copy and share it with my wife. 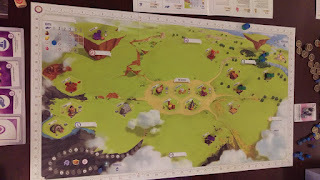 In this game you play a character (we selected our starting character randomly) and you have been tasked with building and founding a new village for the Forever King. Charterstone has been out for more than a year now but I am going to keep this review spoiler free for those you have not had a chance to play. This is a legacy game and your actions in each game will unlock more content for future games. 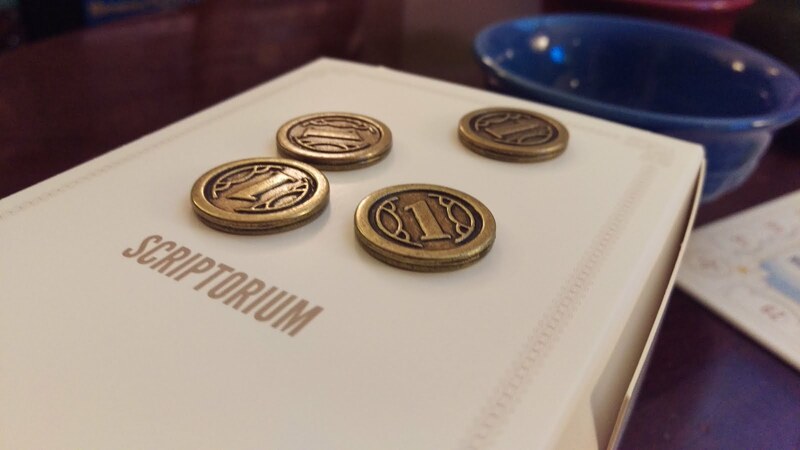 The campaign is set for 12 games but do not worry, once you finish the campaign you are provided with rules to play the game with your finished board. 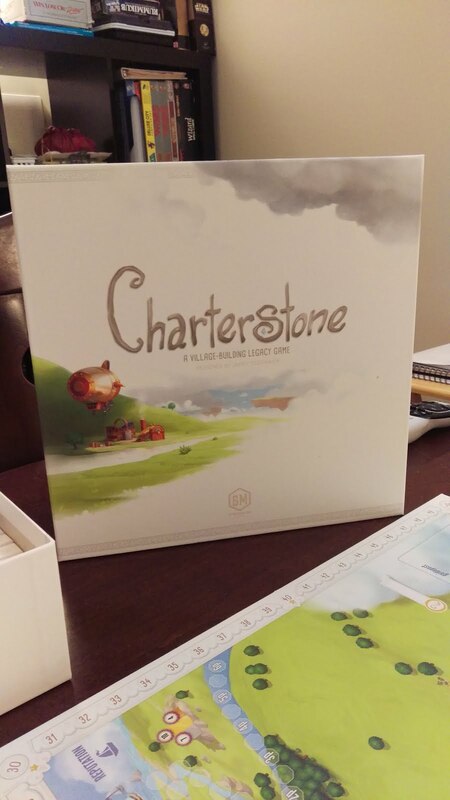 The Charterstone board is also two sided! That way you can buy a "Recharge" pack and play the game again on the second side of your board. We fell in love with the game very quickly. 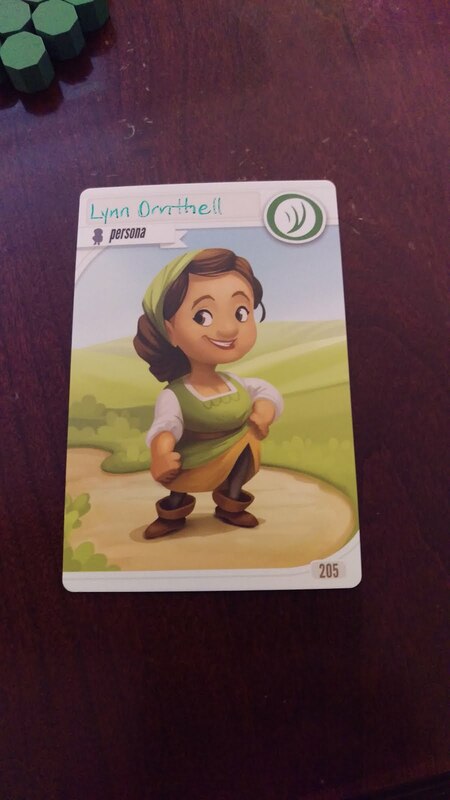 This is a resource management and worker placement game. You will unlock crates and construct new buildings in your charters to flesh out your village. As the campaign progresses you will be faced with Guide posts. They are special conditions that can affect how the winner is determined at the end of each game and they will occasionally introduce new temporary rules for a specific game. Each game will play out in about 40 - 60 minutes. We frequently found ourselves scrambling to get done all they things in the game we wanted to accomplish as the game would come to an end. Since this is a Legacy game, the rules are intentionally vague at times and you have to make sure you read each new card you unlock fully...or you may miss an important step to progress the game story or mechanic. Something that was amazing with this game is the online assistance available for rule clarifications. The Facebook group is fantastic, they answered our questions within 10-15 min. 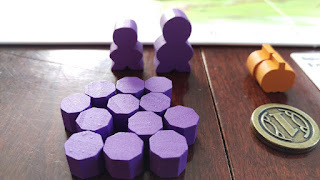 We even had the creator and owner of Stonemaier games, Mr. Stegmaier himself respond and answer a questions we had about what actions occur in what order! This game has light and pleasant atmosphere that is kid friendly. We loved the artwork, especially all the individual buildings you can unlock and build. 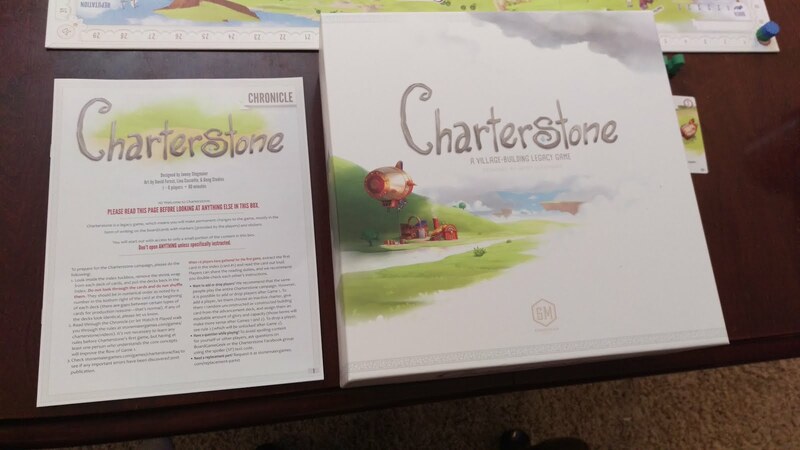 The game is currently available via amazon via this link: Charterstone for $48.00. or direct from the Stonemaier Webstore. I higly recommend the game and my family and friends have enjoyed the experience of playing. So much that are currently on our 4th time playing the campaign with a set of new players. A worker placement, resource management, Legacy game! Upon completion of the campaign you continue to play your finished game board with special rules provided.